Rascal House wakes up everyday with one goal in mind: to honor made-up holidays no matter how made-up they sound. 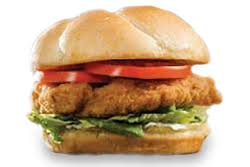 It’s National Chicken Month, a great time to remind you that we serve chicken. Like our award-winning pizza, pasta and burgers they’re stacked with mouthwatering goodness. Grab a couple of napkins before reading this. Buffalo Wings are served with Hot, Mild BBQ, Honey Mustard, Garlic or Sweet Chili Sauce. You can get 25 and feed a football team and still have 3 left over for lunch the next day. Crispy Boneless Wings also come with your choice of Hot, Mild BBQ, Honey Mustard, Garlic or Sweet Chili Sauce. Great for people who jump at the sight of chicken skeletons. Rascal House Wing Platters turn office parties into full-blown raves. Well, not exactly. Though we have an idea what goes on with taste buds after people eat our wings, we trust them to refrain from slam-dancing into computers and other office equipment. Even though our platter of plump, juicy Buffalo or Crispy Boneless Wings with Hot, Mild BBQ, Honey Mustard, Garlic or Sweet Chili Sauce will make you feel like bouncing off a wall, you still have to go back to work there on Monday. Chicken Tenders are premium cuts of boneless chicken breast. They’re seasoned and breaded with so much down on the farm flavor, you’ll wonder why we didn’t rattle a pot and spoon to let you know that your order was ready. Dip them in Mild BBQ, Honey Mustard or Buttermilk Ranch. Chicken Tender Platters are boatloads of bodacious chicken tenders. 36 succulent cuts of boneless chicken breast on a party tray, seasoned and breaded the Rascal House way. We’ll provide the dipping sauce. Something tells us you won’t have trouble finding 12-18 friends. Char-Grilled Chicken Salad is what happens when we mix herb-seasoned grilled chicken breast with fresh lettuce, grape tomatoes, cucumbers and cheddar cheese. It’s healthy and sinfully delicious. Hope that’s okay with you. Chicken Wraps are marinated breasts of char-grilled chicken, diced tomatoes, shredded lettuce, cucumbers, provolone cheese, ranch dressing and mayo – wrapped in whole wheat flatbread. Chicken Primavera Pizza is topped with char-grilled chicken, fresh diced tomatoes, green peppers, 100% provolone cheese and a sprinkle of parmesan for an authentic Italian experience. Italian grandmother who says, “mangiare! mangiare!” (“eat! eat!”) not included. Texan Bar-B-Q Pizza asks, “How ‘bout some Hot & Spicy BBQ sauce, char-grilled chicken strips, provolone and cheddar cheese on your Rascal House pizza?” May induce cartwheels. Do not eat this pizza near crystal unicorns or Shaun Cassidy records. That is if you cherish them as much as we do. Chicken Bacon Ranch Pizza lets customers know that we solved the age-old dilemma of how to put everything that people love onto one pizza. Char-grilled chicken, smoked bacon, cool ranch sauce and provolone and cheddar cheeses. You’re welcome! There you have it. 12 tasty, unconventional ways to honor chicken this month at Rascal House! Share your thoughts with us on Twitter or Instagram using #RascalHouse, or post on our Facebook page!